Yixing day soil, wu men out of pottery. 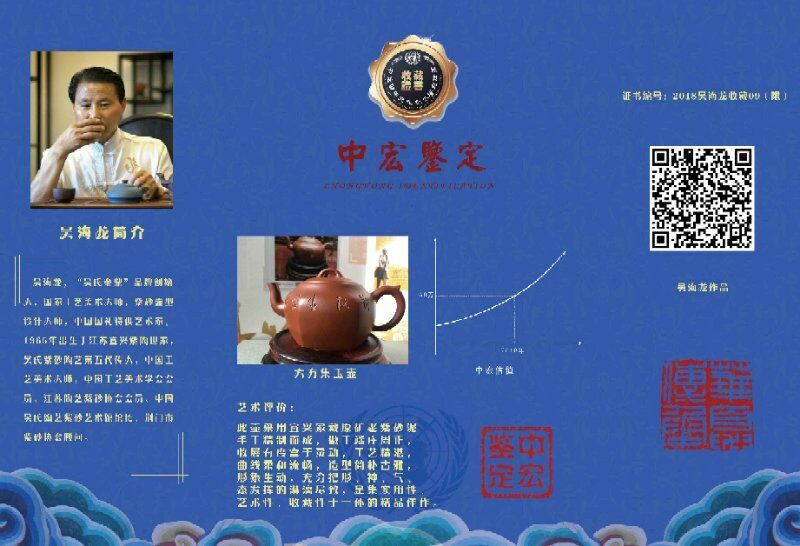 The brand of wu zisha art gallery is :(wu jinding) century-old brand. The brand trademark has (wu men tingting) (pot sea dragon) (wu sea dragon) (trademark) the fifth generation inheritor wu sea dragon, after ceramics, purple sand has become a national art. A full grasp, all in a cuddle, on the zhuang-old dew, the next bubble of the spring of Confucianism and Buddhism. Zen do not look at the world, holding a purple release tianji. 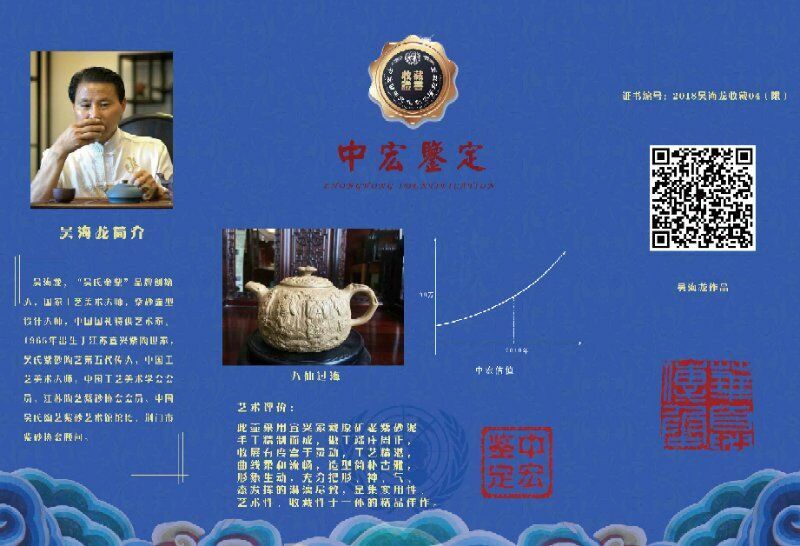 Wu men yixing, one hundred years of heritage. 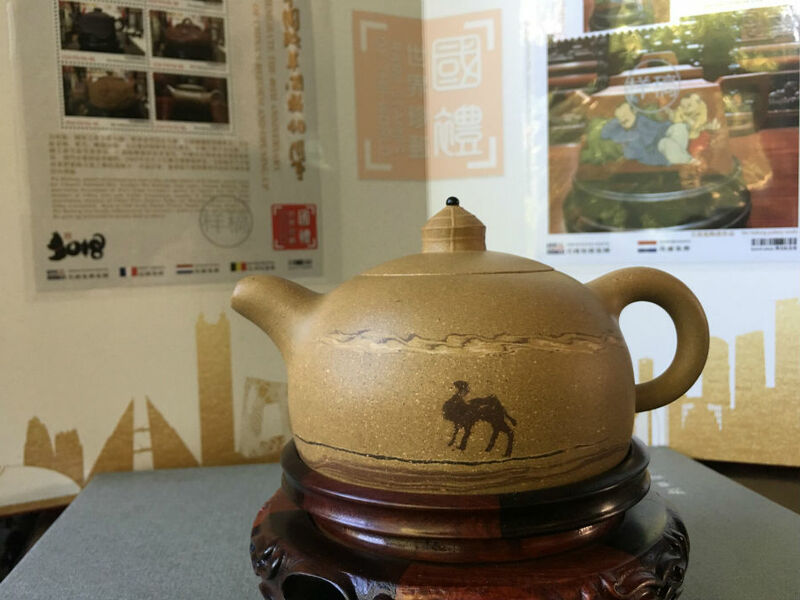 Wu pottery calendar wu yuqing and wu family of the fifth generation of the descendants of wu hailong, premature, young with his father learning art, from a young smoked art family style, link the past and the future, the wu family skills carry forward! 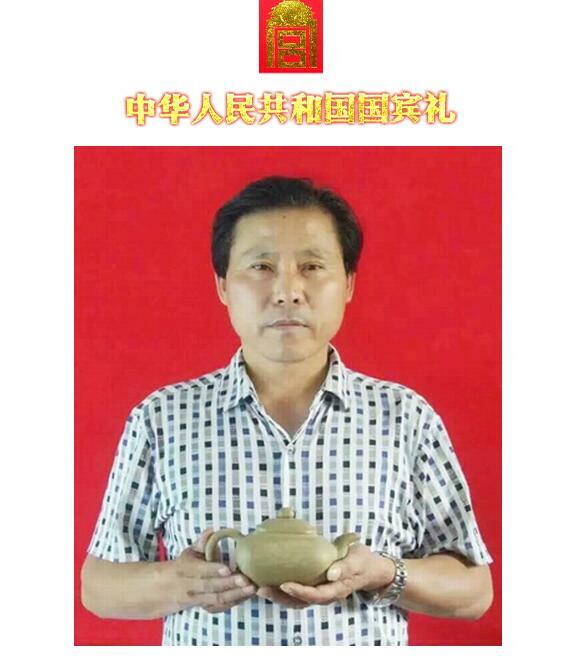 He was fond of collecting since he was a child, inheriting and innovating from the old pot of his family. The shape of the purple sand pot he designed not only respects tradition, but also "the square is not the same type, and the circle is not the same shape", highlighting changes. The shape is both quaint, fashionable and simple and natural. 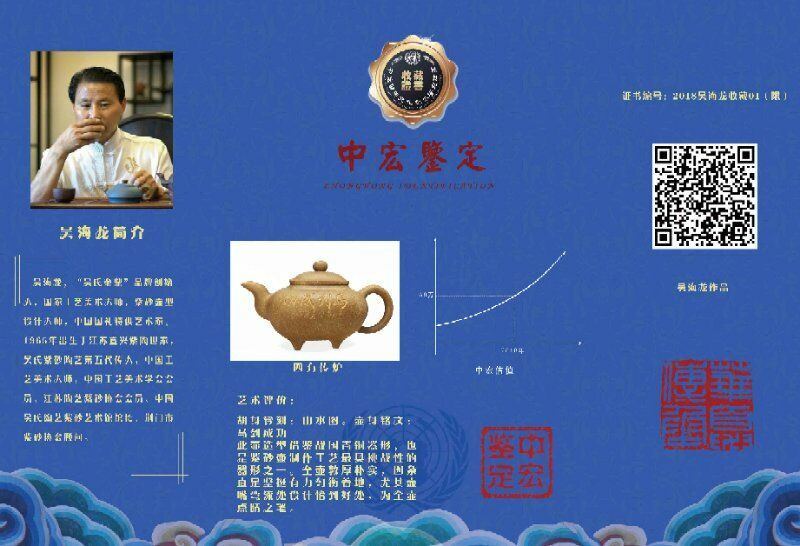 He used are recommended for raw material is very exquisite, "mud" quality decides the taste of recommended height, good pot is mud achievements, good mud is the only thing that will make a dual porosity structure, bibulous rate is high, permeability is strong, and the color is not bright, don't be bored with "the good pot, oh for ceramic art heritage in one hundred is a constant habit of today's work is heavy corrosion more than a decade old mud, committed to dive in purple sand art research and creation, art gather, since art progress. 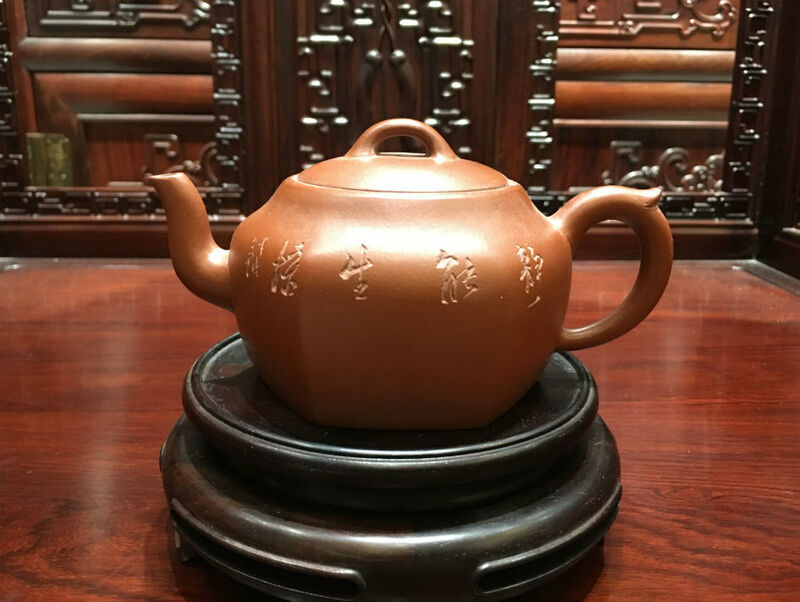 His works implied meaning in the pot, revival in the sand, rigorous and not ancient mud, elegance is also interesting in nature. Craftsmanship takes decades to achieve, and craftsmanship takes hundreds of years to inherit. 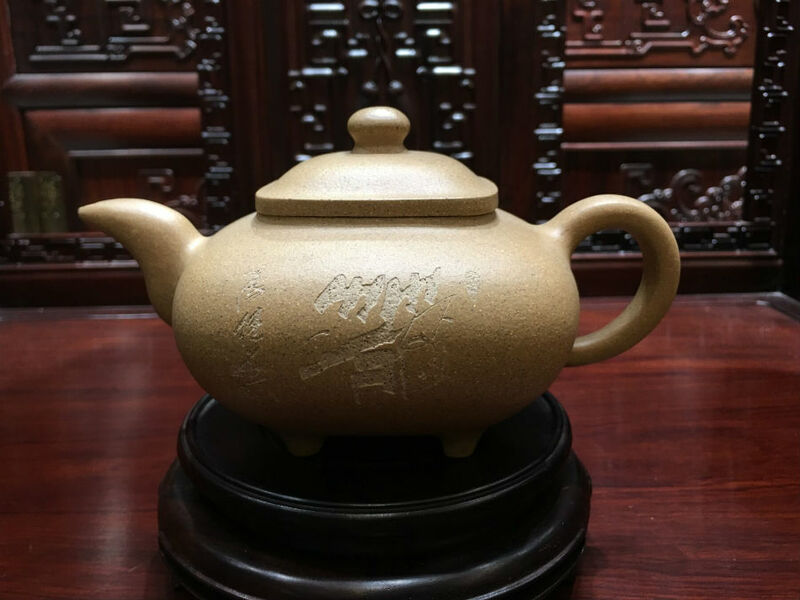 Master wu hailong inherits century-old craftsmanship and innovates style. 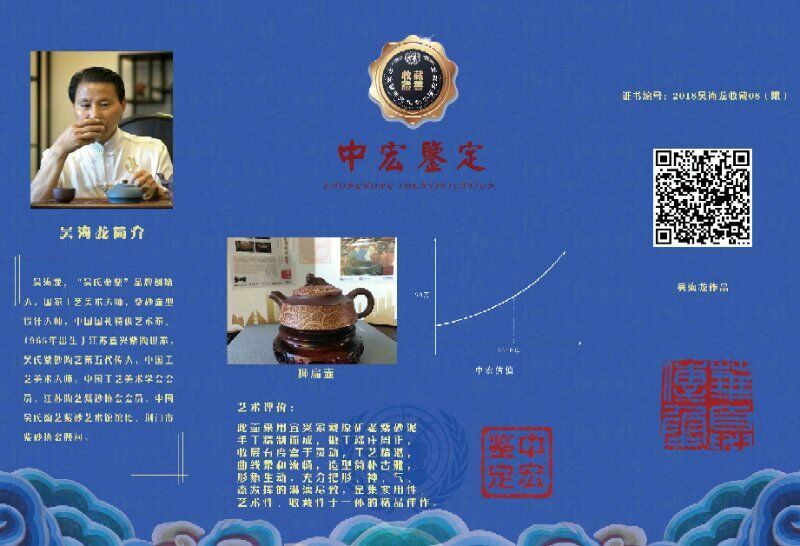 Purple of his works won numerous international and national gold award at home and abroad, is the great hall of the people and zhongnanhai art museum, national museum, the museum of Chinese agricultural collection in succession, by the prince, prince, the United States, cross-strait cultural and artistic people are in silicon valley, also due to the area along the cultural exchange is out of the door to the world, in kazakhstan world expo 2017, received the recognition from the art scholars from around the world. 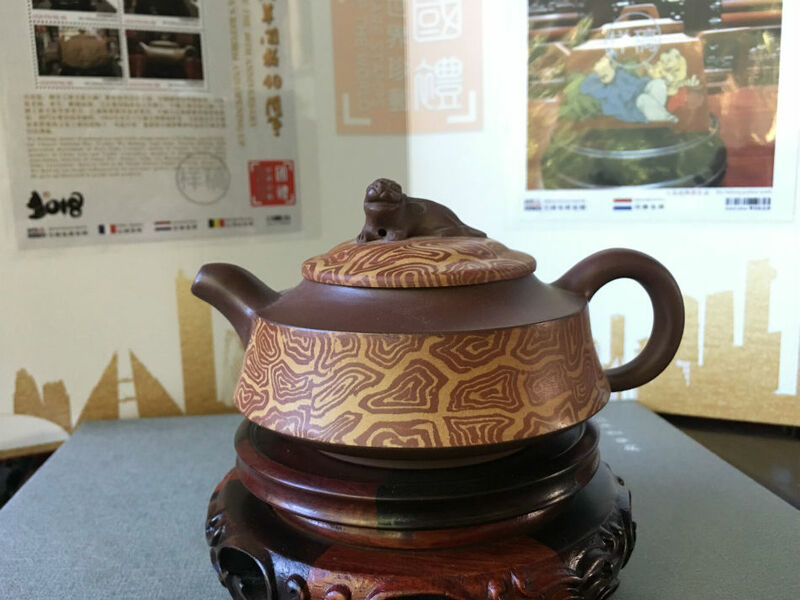 Although the zisha pot is small, it gathers the craftsmanship of a hundred years and the culture of a thousand years. 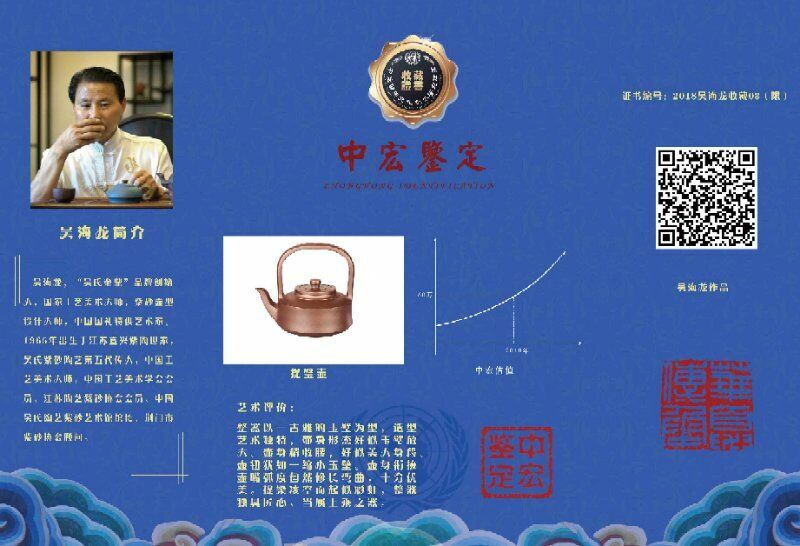 The brand "wu's golden tripod" has also been included in the Chinese travel thousands of miles in good faith. Master wu, inspired by the family style, inherits from the past and tries his best to improve his skills. Carry forward the old and bring forth the new. 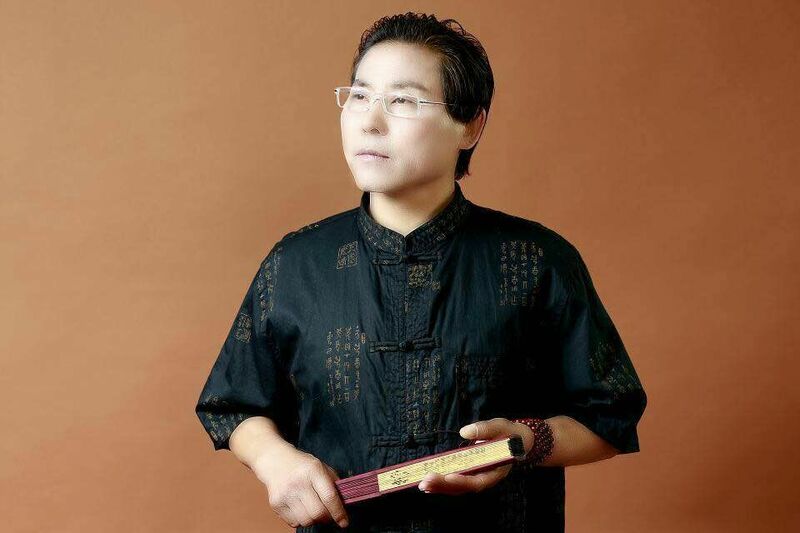 Master wu has been close to the destiny, zisha artistic attainments consummate, art gradually "tianjue" of the country. His works are innovative in inheriting the classics. 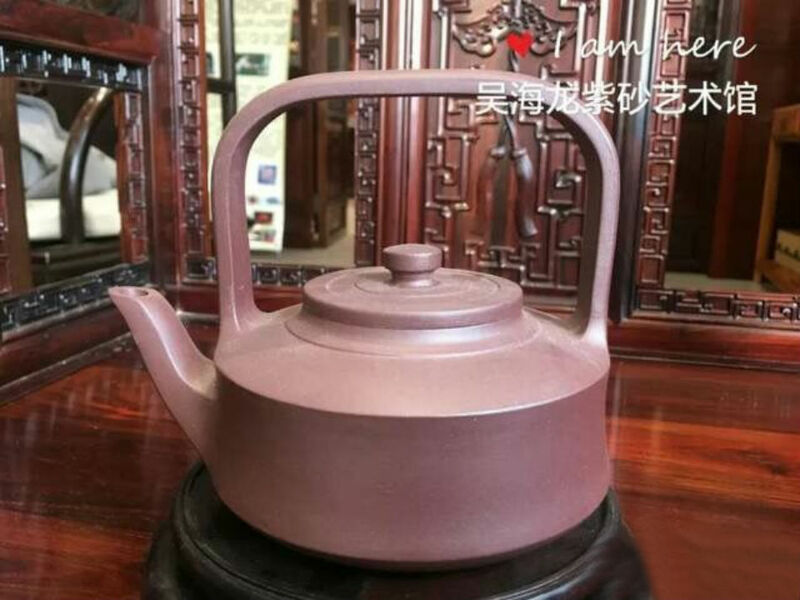 In the type of "light goods", they are exquisite in appearance and outline, natural, simple and elegant. 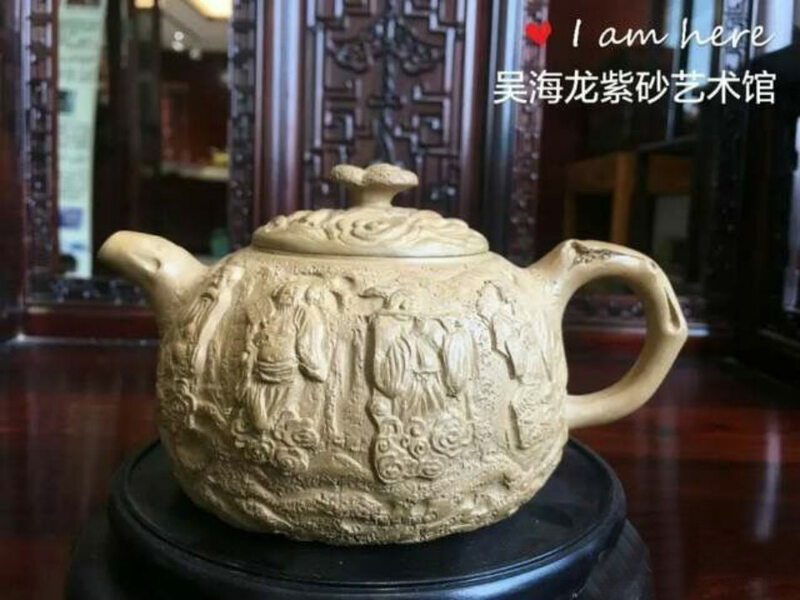 And in the "flower goods" on the shape of the division of nature, sculpture, rich techniques, with a typical aesthetic style of wu; In the shape of the rib apparatus, the rib capsule texture is clear, dense and appropriate, freely depth; In the shape of the girder pot, the style is ancient, the pot body and the girder, with clear contrast between the real and the imaginary. Although master wu is well-known and widely known, he is not burdened by the fame of the common world. 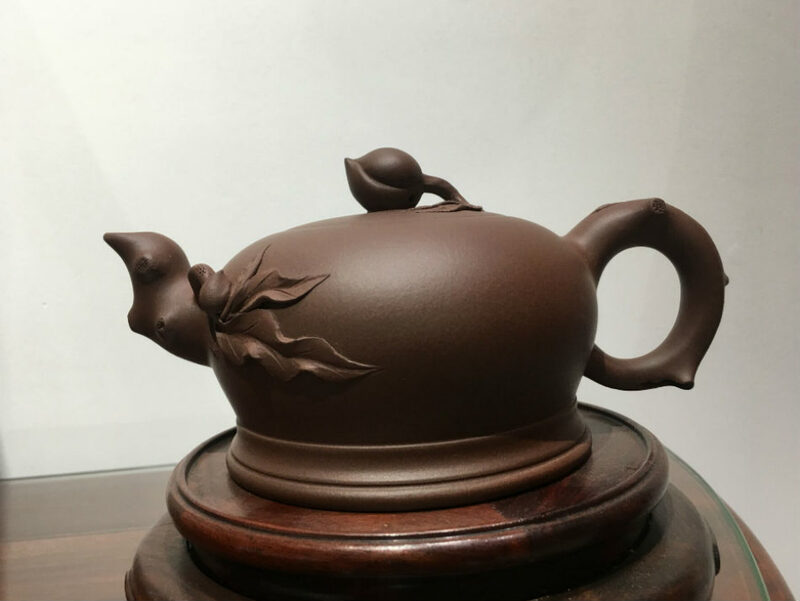 Although his works are hard to find in the market, he is indulged in the study and production of zisha art with the concept of "a good craftsman should not be exposed to our nature", "a craftsman with a quiet mind", "fine art", "indifferent to fame and wealth", and "steadfast".